The former Massachusetts senator, who lost his seat to Elizabeth Warren in November, has no plans to run for Senate again — but he could still be eyeing the governor's mansion, according to an interview he gave to Boston's Fox affiliate. Scott Brown isn't going anywhere. The former Massachusetts senator, who lost his seat to Elizabeth Warren in November, has no plans to run for Senate again — but he could still be eyeing the governor's mansion, according to an interview he gave to Boston's Fox affiliate that aired on Monday night. 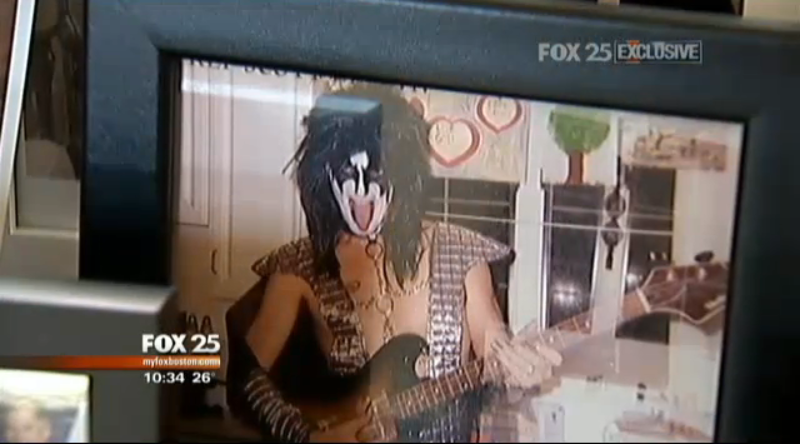 After showing off his infamous truck (which has 249,747 miles on it) and a photo of him costumed as KISS bassist Gene Simmons, Brown told reporter Maria Stephanos that he is, in fact, pondering a run for Massachusetts governor in 2014. "Of course I'm thinking about it," Brown said. "But right now the best thing ... is just to hang tight and recharge and be active." Brown's latest statements compound previous rumors that he might somehow follow the path of former Massachusetts governor Mitt Romney, who based a large portion of his 2012 presidential campaign on his experience as a Republican in the executive branch of blue-state Massachusetts. But Brown is hedging here, and for good reason: he may not enjoy the full-throated support of the state's GOP leaders, who see him as an adept legislator, not a confident executive. (Hence the intense campaign to convince Brown to run for John Kerry's old seat upon Kerry's confirmation as Secretary of State, and dissuade him from running for governor.) As we've noted before, Brown is a career politician — a sentiment his Senate campaign worked vigorously to deflect — not a private equity magnate who successfully delivered universal health care to the state's 6.6 million citizens. Yet Brown remains quite popular, and is perfectly capable of raising enough money to finance a gubernatorial campaign. Plus, he enjoys wide out-of-state support, and would add another entry to the list of Republicans who govern blue states, like Chris Christie and Scott Walker. Still, he'll have to negotiate the mistakes his last campaign — the bizarre questioning of Elizabeth Warren's racial heritage, the video of his staff doing "Tomahawk chops," his meandering answer about his favorite Supreme Court justice — many of which evidenced a lack of discipline that, while forgivable in a Senate campaign, could be deadly in a race for governor. Indeed, Brown is still licking a few of those wounds. Apropos of nothing, he told Maria Stephanos in his interview that his controversial jacket cost only a buck fifty, not the $600 that Elizabeth Warren claimed during the campaign.